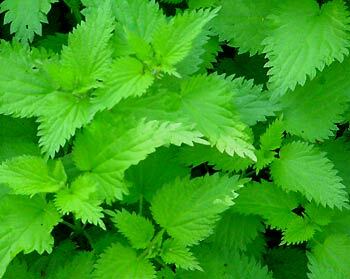 Fancy Pans Café: Stinging Nettles - should we embrace them, or taste them? Stinging Nettles - should we embrace them, or taste them? 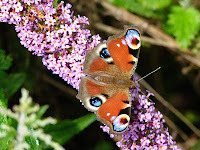 The second week in May has been designated Be nice to nettles week and I suppose the first question which jumps up from the nettle-bed is: Why should I? Stinging nettles, urtica dioica, have been around since, well, probably since The Creation and when they decide to take up residence in our gardens, we don’t like it and want rid of them. They do like fertile soil and spread themselves around with seeds and under-soil-rhizomes. Because they like rich soil, they spring up in derelict areas long after houses, or even settlements, have been swept away. And butterflies love them too. One unusual thing (only one?) is that they have square stems – an experienced horticulturalist would struggle to breed a plant with square stems. Another unusual fact is that male flowers are formed on different plants from female and their Latin name, Dioica means two-houses. However, another Latin word, Noedi means needle and if you have ever been stung, you’ll know why. The leaves are in pairs on that square stalk and are covered in hairs. Now, here’s the clever bit. The hairs are hollow and made stiff by silica and hold their poison at the base. When the hair is brushed against, it breaks to reveal a sharp ‘needle’ which pierces the skin and injects the poison. So, what’s in the poison to make it sting? Interestingly, the main ingredient is histamine together with acetylcholine and serotonin, plus a secret ingredient yet to be identified. When the Fosseway and Watling Street were still under construction and experiencing roadworks (no change there then) the Roman soldiers would brush their arms and legs with nettles to warm themselves up in England’s cold and pleasant land. Nature is amazing and the best cure for a nettle sting is a dock leaf and wherever nettles grow, there are usually dock leaves nearby as they both like rich soil. Dock-leaf sap contains antihistamine which acts as a soother. They are also thought to drive away pesky flies, so you could hang some in the kitchen to try it. The Germans, apparently, made army uniforms from cloth which had been made from nettles during the First World War. If you like cheese, (did you read about the Artisan Cheese Festival earlier?) then the Northumberland Cheese Company make a nettle-flavoured one. And if you are brave enough, you can try Lady Ridley’s Nettle Soup – click here for her recipe. Why not click on the Nettles website and discover more interesting facts and test your knowledge with their fun quiz?